For me, a great litmus test for a good piece of art is if it remains on your mind long after you experience it. 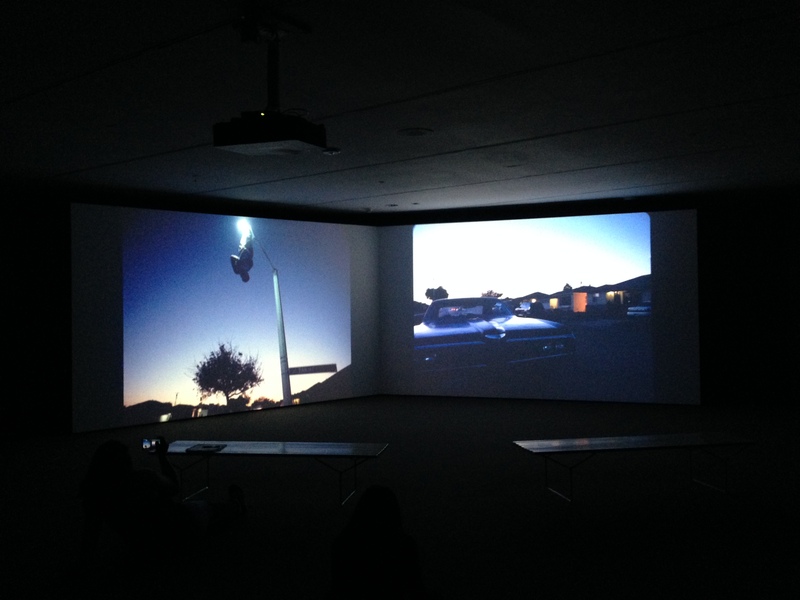 Last Friday I saw Kahlil Joseph’s “m.A.A.d” a short film featured in Double Conscience, which is the music video director’s debut exhibition at MOCA. The film takes viewers on a visual journey of the lives of residents of Compton. Instead of sticking to a plot, dialog and story arcs, the film is an ethereal montage of moments that invite viewers to connect to the featured subjects on visceral level. The film was presented on dual screens which allowed Joseph to creatively toggle between images. Kendrick Lamar’s, “Good Kid, m.A.A.d City” accompanied the piece as the soundtrack, my favorite being “Sing about me”. Joseph’s background is in music video and short film production and he has a distinct dream-like style featuring stunning kinetic underwater sequences overlayed with audio that plays between the conscious and subconscious mind. What was particularly powerful for me was when I saw m.A.A.d at MOCA which happened to be the week of the 23rd anniversary of the L.A. Riots. Many of the images from the film were set in 1992 juxtaposed to current day Compton. It was an emotionally resonate piece that speaks to Los Angeles’ history and the reality of our present time. Double Conscience is also a nod to the W.E.B. Dubois’ concept of Double Consciousness which is the theory that explores the double bind African-Americans experience between who we are and how we are perceived by the rest of the world. I was acutely aware of this theme as the only black woman present during the showing thinking about whether the individuals featured in this piece have seen themselves captivatingly shown in this format at MOCA. 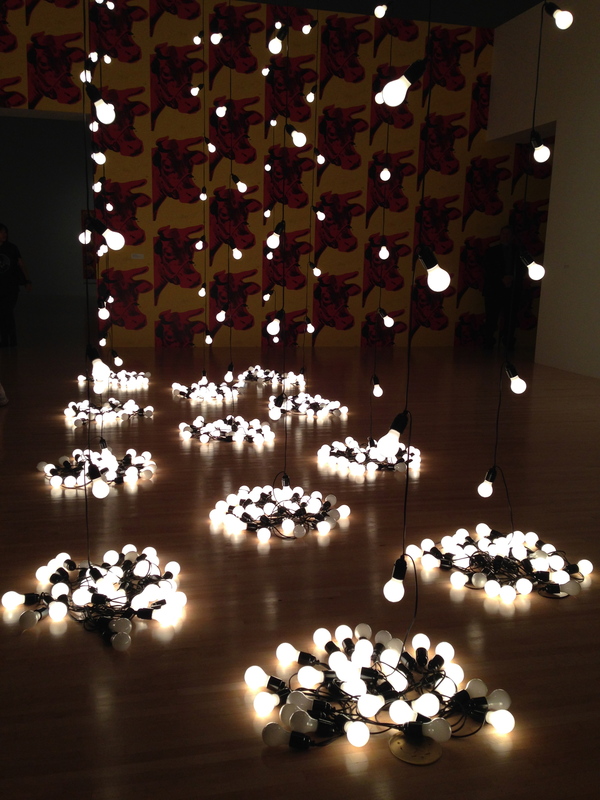 Perhaps I was too overwhelmed with my thoughts after m.A.A.d that I really didn’t give Double Trouble enough of a chance; I wish I had known more about the enigmatic Elaine Sturtevant prior to seeing the exhibit. This is the first full museum exhibition of the artist since 1973 and her 53 year career features interpretive re-productions of top flight Abstract Expressionist artists. By re-creating these works she attempts to challenge viewers’ notion of art and the broader context under which it is created, consumed and popularized. While I understand the concept, I struggled with MOCA’s ability to guide viewers through this process. I think that the common criticism during the Deitch years was that he catered to the superficial trendy whims of what the world expects of Los Angeles and as a result curatorial rigor took a back seat (or was kicked to the curb depending on who you talk to). With this exhibit the pendulum eerily swings in the other direction by showcasing these reproductions without guiding viewers through the interpretive process, so it became a confusing foray into sussing out what’s real and what is a copy. The L.A. Times’ review of this show touches on the idea of mass knock offs which got me thinking about handbags. In the 1990’s when Kate Spade handbags were the “it” bag, I visited a friend in New York and we scoured the streets for the perfect replica. Just as we were about to give up on our quest, a woman sitting on a small mountain of concealed boxes spotted us and lifted her veil of blankets to reveal contraband handbags including a Kate Spade. After closely inspecting them, I snapped one up. Despite it being a really good copy, there was a slight flaw in a stitch that I discovered after I bought it. I never wore that bag. Admittedly it was not the only knock off I would purchase in my twenties, and over time I came to learn the importance of the proverb, “buy cheap, buy twice”. The moral of this digression (and glimpse into my love for bags) is you have to study both to appreciate the value in the real thing. According to the L.A. Times‘ review of Sturtevant this perhaps was the point the artist was trying to make but was her motivation out of contempt for the art world or in reverence of it? For me, the experience of viewing this exhibition left me with the same empty feelings of regret and disillusionment that I felt when I bought that bag. I think this personifies what many find so alienating about Contemporary Art. Instead of building a bridge, this show created a cultural divide between those that “get it” and those that don’t.